Tyler Cowen is an economics professor at George Mason University and a widely-followed blogger and podcaster at MarginalREVOLUTION.com. 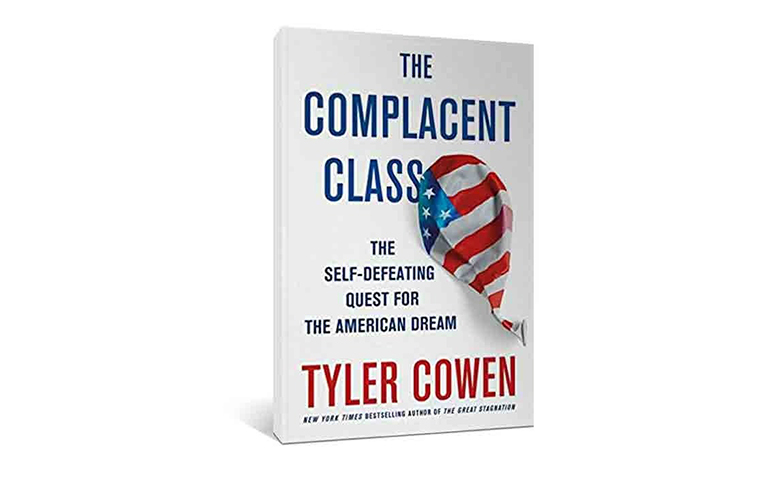 His latest book, The Complacent Class: The Self-Defeating Quest for the American Dream, offers a provocative and scary thesis – there is a troubling trend in America towards more stasis and less risk-taking that threatens America’s potential for long-term economic growth along with the prosperity of its middle class. Cowen goes on to suggest that societies without growth tend to decay and fall apart. The book’s key insight is its focus on restlessness and geographic mobility and the critical role they play in economic growth. Cowen rightfully notes that these uniquely American traits were first written about by Alexis de Tocqueville during his famous tour of America in the 1830’s. Only from an historical trajectory can one fully appreciate the transformative power of restless mobility on America’s economic transcendence. The 1849 gold rush and the 1889 Oklahoma land rush are two memorable examples that capture the magic synergy of restlessness and frontier mobility. But Cowen presents plenty to worry about. What if ever expanding entitlement and social welfare programs diminish mobility and risk taking? What if restlessness is seen not as creative energy, but diagnosed instead as a disorder needing medication? Is a risk averse culture losing the dynamism necessary for a vibrant and expanding economy? One final anecdote to consider – in 1961, President Kennedy committed America to putting a man on the moon by the end of the decade. By 1969, it was done. The amazing feat was accomplished in just eight years. Today, 49 years after Neil Armstrong walked on the moon, American government at the federal, state and local levels struggle with the mundane task of repairing closed bridges.